Children in film are always a captivating presence. They bring light to the silver screen, epitomising innocence and creating a sense of imagination and play within any story. However they can also show us things about ourselves that we want to forget – that we are all selfish beings, that we can all be angry sometimes. Children are also the only ones who have the boldness to act this way. All of these are elements that fascinate filmmaker Mark Cousins and something that he became inspired to look at in more depth after a visit from his niece and nephew. Setting up his camera he recorded them at play and was amazed to find that when he looked back over the footage he could pick out certain traits quite clearly. Showing off, rage, destruction, shyness; all of these and more were evident as they played, the behaviours becoming even more obvious as they began to forget about the presence of the camera. Fascinated by his discovery, Cousins decided to explore cinematic representations of children. Just how many examples could he find that truthfully portrayed the traits he had observed? He discovered that the instances were abundant and not only found in films from the West, but movies all over the world. 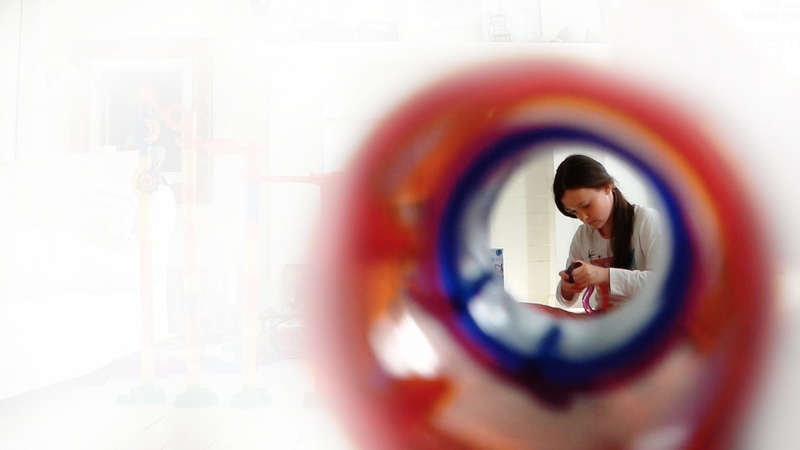 The results of Cousins’ research make up his new documentary A Story of Children and Film (2013), throughout which Cousins examines each behaviour in detail and explores filmic examples that show evidence of each one. Rage and stroppiness is found in an Iranian film called The Boot (Chakmeh, 1993), fear of the unknown is noticeable in Víctor Erice’s The Spirit of the Beehive (El espíritu de la colmena, 1973), performance and showing off is in Meet Me in St. Louis (1944) and so on. To give you many more examples would spoil the point of Cousins’ film though, as well as ruin the wonderful experience of watching it and discovering the examples he uses as the film unravels. And indeed, Cousins’ documentary is a captivating watch. It is great to see such an intelligent and intriguing theory brought to life, especially when you realise just how many films featuring children can be used as evidence of the traits Cousins sees. The examples themselves are also fascinating, especially the more obscure films that many will never have seen before. Some have actually used this as a criticism of Cousins’ film – people who are frustrated at the fact that a lot of the films he discusses aren’t readily available. As gripes go though I would say that this is a small and unfounded one. In fact I would argue that the use of some films that are unavailable to watch is a plus and another one of the delights of Cousins’ film. He wants to make us aware of hidden gems that although we may never see still deserve some form of recognition and it is great to discover these forgotten films alongside Cousins’ detailed and poetic narrative explanation. After all what would be the point of talking about the latest blockbuster when we’ve all seen it? However as charming as it is, many will find their patience tested by A Story of Children and Film, and not just because it is a documentary. The structure of visiting each trait in turn can become wearing at some points, with interest dipping for the middle of the film. Cousins manages to counteract this at times by continually revisiting a couple of examples that show a number of the behaviours he discusses. This means that we are keen to continue watching in order to see what happens later on in these particular films. Later on Cousins also branches out from the behaviours he sees in his niece and nephew to look at a few other instances of childhood in cinema, such as adventure and fantasy, an idea that offers the documentary a bit more scope. Despite this some will still be frustrated by the repetitive method Cousins’ uses at some points. The format won’t appeal to everyone, nor will the exploratory concept. 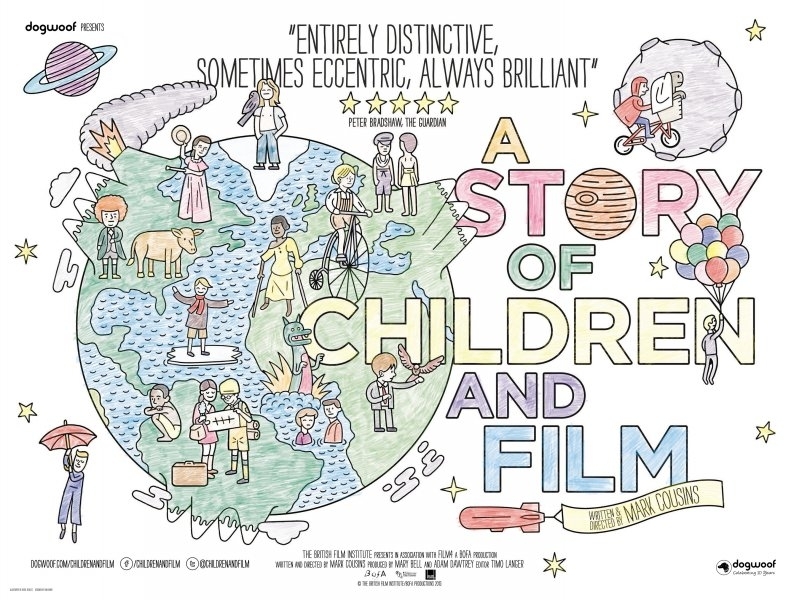 However if you stick with it to the end you’ll find that A Story of Children and Film is a creative, informative documentary and an enchanting watch. Seeing the traits being performed unaware by his niece and nephew as they play is a clever hook and fascinating to see (it’s even quite funny at times). The footage of them is used in a way that also ties in well to Cousins’ theory and the examples he shows. Another of the joys of watching the film is discovering so many rare films that we would never normally get to see – films from all across the globe. Yet the main draw of Cousins’ film is in seeing how so many films from so many different countries and cultures all have the same representations of children. A delightful, beautiful documentary and a fabulous idea brought to life that sparks your own imagination. And yet another beguiling ode to cinema as an art form from the brilliant Mark Cousins. ~ by square-eyed-geek on October 7, 2014. This entry was posted on October 7, 2014 at 5:44 pm and is filed under Film, Reviews.You can follow any responses to this entry through the RSS 2.0 feed.You can leave a response, or trackback from your own site.